Details : The 2 first pictures came from 2 different sources (that I cannot find back) One had some text in Norwegian that I extracted the following from: It came to Norway in 1941 with the invasion of the German army. 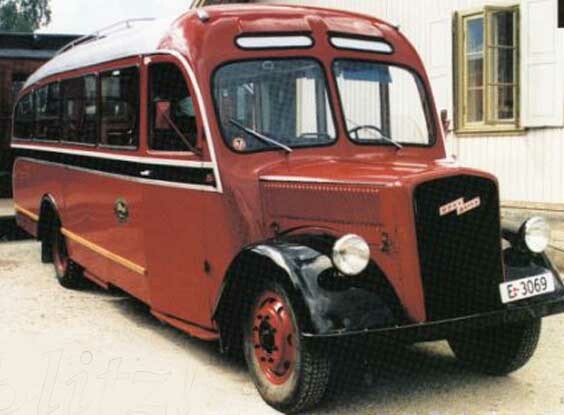 It survived the war and was rebodied in 1946-1947 by the Akselsens karosserifabrikk (O.C. Axelsen). 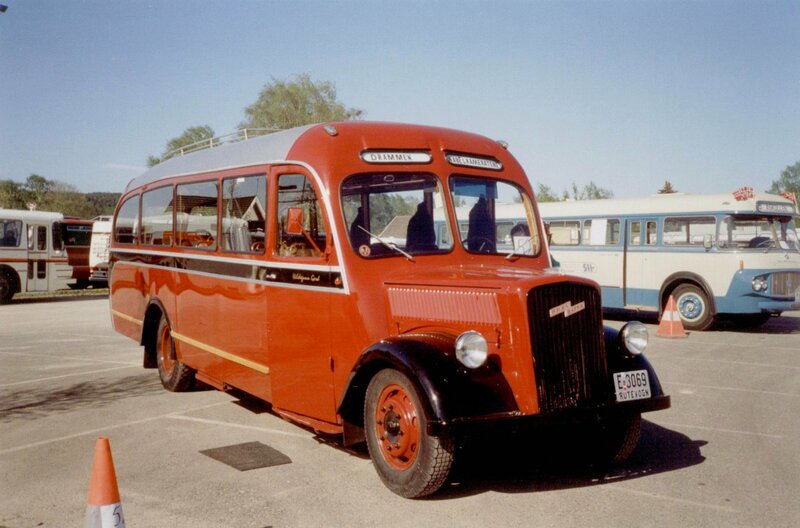 It got the registration E-3069 and was used in Aurdal, Fagernes. 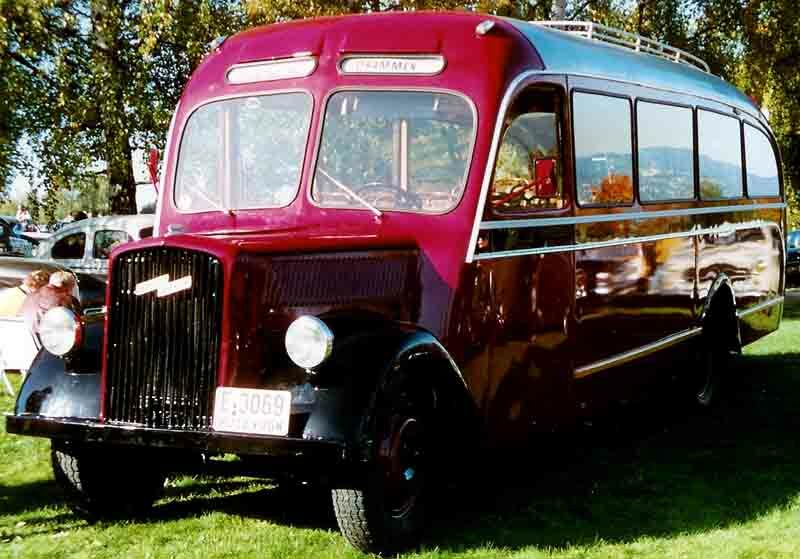 In 1956 it is bought by the Sørumshaugens bussvirksomhet JVB. 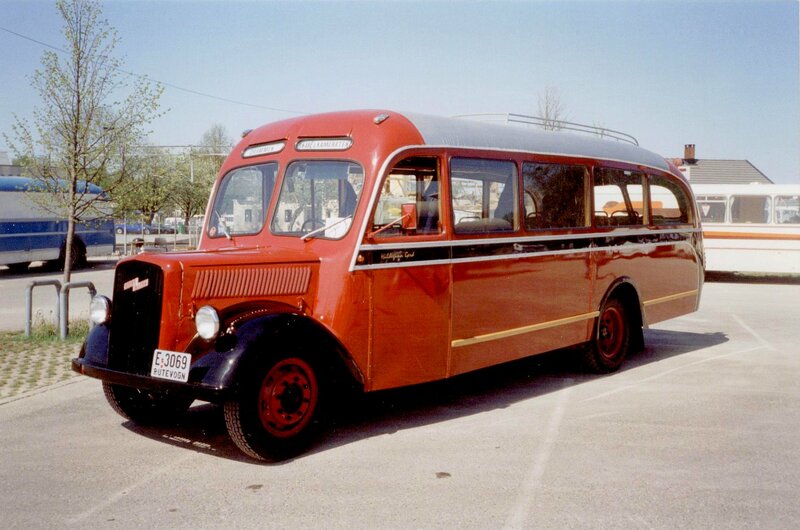 Later it got number E-15526 and was employed by Fossgård in Hallingdal. It was bought back in October 2006. That would make it a Ludewig originally, if it has the low chassis. Restored 1988-1993. (c)Stig Baumeyer photo taken on September 2, 2009.